New Piper's current flagship product, the Malibu Meridian, is much more than simply bolting a PT-6 on the front of a Mirage. Instead, as AVweb's Dave Higdon writes, from the cabin to the panel to the spinner, New Piper's turboprop single is top of the line. Just be sure to balance what's in the tanks against what's in the cabin. The preparation leading up to my first flight in a new aircraft design always renews my sense of adventure and stirs a bit of trepidation, as well. The promise of some new adventure, rooted in my hedonistic curiosity about airplanes, generally overwhelms any degree of anxiety attached to the coming flight. Nonetheless, arriving at the main gate of The New Piper Aircraft Corp.'s Vero Beach, Fla., (VRB) facility before dawn this morning found my little internal conflict closer to stalemated than usual; a draw, if you will. My mission today: First, photograph New Piper's essentially all-new PA-46-500TP Meridian in a post-dawn, air-to-air mission, then sample the flying qualities of the sleek propjet single. The sequence of my missions provided the antidote to my nagging anxiety. After about an hour of watching the rising sun make magic of the Meridian's svelte, sleek lines my photo "willies" vanished and I found myself anxious only about how quickly they'd let me at it and hopeful they'd let me keep it for the morning. Watching it aloft made me realize that the Meridian is really nothing more than an unusually powered single -- and past work put me at the controls of both a piston-powered Malibu Mirage and another Mirage converted to turboprop power. Sure, the Meridian departs from the Mirage in more ways than engine power but, at its roots, the Meridian still looked and acted like other singles I've flown and photographed. And within a few minutes of our launch from VRB, while trimming for level flight at 17,500 MSL, the Meridian and I made friends. Settling into the environment a score or so miles out over the Atlantic, the well-designed flight deck, easy single-pilot manners and great flying characteristics made me wonder about my original anxieties. Maybe a bit of piston envy? The overall package of parts that makes up the whole of the Meridian made me feel right at home, even without prop and mixture controls. The Meridian's $1.7 million package of equipment delivers capabilities exceeding the best piston twins and approaching that of the latest business jets. At the same time, purchase, care and feeding doesn't keep up with the bigger dogs of the business-jet world -- at least, as that world exists today -- versus what it may look like a couple of years hence. No, it's not as fast as, say, a Cessna Citation CJ1; at 270 knots, however, the Meridian certainly is no slug. Yeah, the TBM 700 goes about 30 knots faster, but for a price about $800,000 higher. There's nothing else quite comparable, for the money or the capabilities. About a million less than its closest single-propjet competitors, hundreds of thousands more than today's leading piston twins, the Meridian stands alone in its price range with operating economies not far off the twins with speed rivaling more-expensive wings. With great control harmony, intelligent cockpit ergonomics and systems simplicity, New Piper may have come its closest yet to creating a perfect pilot's package. Pilots with more insight and knowledge than me can debate what makes an airplane perfect and whether the Meridian fits that profile. And while it may not be perfect, the Meridian certainly comes close, and it works well enough for a perpetual piston-plane player to believe his own skills and experience to be plenty to safely and efficiently operate a Meridian, if circumstances actually allowed me to own such an aircraft. The one exception to the Meridian's superlatives comes in full-fuel payload, where the Meridian, unfortunately, enforces payload limitations as strict as virtually every aircraft in its performance class, except for the robust, much-larger, much-more expensive Pilatus PC-12. Payload well under 500 pounds at full fuel is seldom the limiting factor it may imply. The typical business mission rarely covers more than 500 nm but, if needed, the Meridian can easily live with the lower fuel requirements needed to handle two, three or four, with luggage, while its striking speed makes magical, short work of those typical trips. 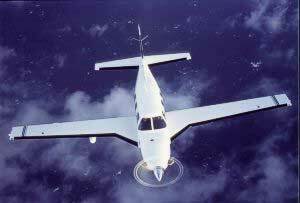 But making that magic involved evolving the Malibu to match its Pratt & Whitney of Canada PT6A-42A turboprop engine. Despite the simple concept behind the model's evolution -- take the Malibu airframe, toss the turbocharged piston engine, bolt on a turboprop, go fly -- the Malibu Meridian represents considerable airframe evolution beyond Jim Griswald's original design. Of course, the engine is the biggest and most-noteworthy departure; most of the other changes reflect a need accompanying that powerplant change. Take, for example, the horizontal tail feathers, the size of which were increased by 37 percent when compared to those of the Malibu and Malibu Mirage. Of course, there are other differences also: stronger landing gear to handle the Meridian's higher gross weight; a reinforced main wing spar, also to handle the higher loads; the addition of fillets to the inboard section of the wing, to better carry the higher weight, improve low-speed handling, normalize stalls and increase fuel capacity; a redesigned interior that expands internal luggage space; and a cowl design that departs from what you commonly see surrounding a PT6A. We'll look at these changes in detail in a moment. But it's the engine change that makes the plane and drives the other changes. And that engine change essentially makes the Meridian everything the original Malibu was supposed to be while hopefully sidestepping the string of engine problems that have plagued the design since its launch in 1983. The worst aspects of Piper's impressive PA-46 airframe generally stemmed from its engines. 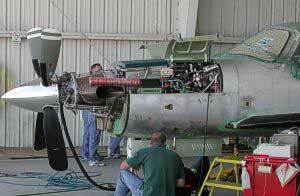 The original PA-46-310P Malibu mounted a Teledyne Continental Motors TSI0-520-BE. This mill was changed out for a 350-hp TIO-540-AE2A Lycoming to make the PA-46-350 Mirage in 1989. The community consensus for these problems: the excessive heat and wear created when you make a piston engine of these ratings provide power for both thrust and cabin pressurization. In other words, the engines must work too hard. Thus, you get TBOs of 1,400 for the Continental, 1,700 for the Lycoming, if they make it to TBO. For the Meridian, New Piper elected to use the mature, well-understood Pratt & Whitney Canada turboprop engine to evolve the Malibu Mirage to the next level. New Piper launched the Meridian with the PT6A-42A, initially flat-rated down to 400 shp for this installation from its 1,029 shp thermodynamic maximum. 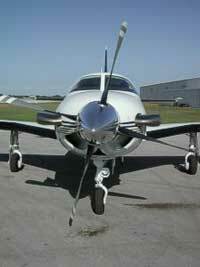 Ultimately, however, Piper raised the horsepower rating up to 500 shp. The more-power perspective should need little explanation; 500 shp, even as a flat-rating, exceeds 350 hp by about 43 percent. With more available power -- and the power available right up to the 30,000-foot service ceiling -- the Meridian should climb and fly faster, even while carrying more weight. With a 3,600-hour hot-section inspection interval -- the turbine equivalent of a TBO cycle -- the Meridian owner can fly nearly double the hours of a Mirage owner without facing even that expense, let alone an overhaul. And with the PT6A-42A required to make less than half its full 1,026 SHP of rated power, the engine should never come even close to a temperature or pressure operating limit. Likewise, with an ISA rating of about 50 degrees above standard, hot-and-high problems should never surface for the engine. At first glance, a veteran aviator might not discern that the Meridian sports a PT6A engine because the clever cowling design lacks the guppy-like chin scoop characteristic to most PT-6 installations. In aircraft ranging from the venerable Beech King Airs to the PC-12, the reverse-flow PT6A engine takes intake air from those distinctive scoops, some of which look like they could swallow a Cherokee whole. In those installations, the chin inlet routes air to an inlet ring on the aft of the engine itself. Between the 90-degree direction changes the air must take and a pilot-controlled centrifugal separator at the aft end of the inlet, foreign objects like ice, dirt, debris and even rain are separated and ejected. New Piper engineers mirrored the approach Cessna used on the Caravan and it results in an aerodynamically cleaner installation. In designing the cowling to meet that goal, New Piper engineered a trio of NACA-style scoops in the lower half of the cowl. The two outboard inlets direct air to the engine inlet; their shape and position discourage ice formation, eliminating the need for anti-ice protection for the inlets. A new separator works full-time and requires no pilot action, simplifying the flight deck and the manufacturing processes related to the cowl and flight deck, both. The smaller, center, inlet directs air to the engine oil cooler, and also requires no anti-ice protection. With its brawny, four-bladed Hartzell constant-speed, reversible prop, the Meridian looks downright racy, like a track-bred racer masquerading as a luxury sedan. And New Piper elected to complete the sleek installation with a pair of exhaust pipes specially shaped to help keep the PT6's "trademark" exhaust soot off the fuselage and wing roots. 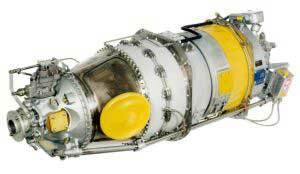 The result is a PT6A engine installation uncharacteristically sleek and clean compared to other airframes using the powerplant. Cleaner means more speed and better fuel numbers, a win/win situation. The cowl design also makes the Meridian appear much longer than the Malibu and Mirage. But the appearance is more illusion than reality; the Meridian measures only 9 inches longer. 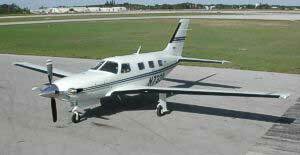 Essentially, New Piper retained unchanged only the fuselage/pressure vessel of the original PA-46, with many other subtle changes -- some of them largely invisible -- to give the Meridian the balance and harmony it possesses. As noted above, many of these changes reflect the engine swap or related weight and performance changes. For example, New Piper strengthened the wing main spar to better accommodate the higher speed and weight of the Meridian. You can't see it, but the structural changes show up in the spar's weight, which is about 43 pounds heavier than the original one. 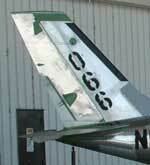 And since so much else of the wing is common, the company in 1999 adapted the Meridian spar to the Mirage. This avoided the added fabrication complexity and expense of producing two different spars while giving the Mirage a 60-pound gross-weight increase. In contrast to the invisible spar change, you can see the new cuffs added to the wing at its root, which contribute to the final "package" in multiple ways. For example, that higher weight that keeps coming up would have increased the loading on the original wing; glide and stall speeds would also have grown, in turn. But the cuffs increase wing area to keep wing loading in line. The cuffs -- which provide space for the 173 gallons of fuel the Meridian carries, preventing New Piper from resorting to more wet space farther outboard-- also help maintain proper airflow across the wing at high angles of attack. This helps keep low the Meridian's stall speed while allowing proper propagation of the stall from wing root to tip. The result: The Meridian comes in below the maximum 61 KCAS stall speed limit for FAR 23 aircraft. The engine change eliminated the forward luggage compartment between the engine compartment and the fuselage of the Malibu. Many owners found that little compartment ideal for cabin covers, chocks, engine-inlet plugs, pitot covers and the prop restraints used on PT6 installations. To make up for the loss, the designers redesigned the cabin and increased storage space behind the aft pair of seats. The also redesigned the back seats for easy access to that area. So, as similar as the Meridian and Malibu models may appear, they differ far more than in engine, alone. The Meridian really seems all about change, which resonates with how New Piper has built itself back from bankruptcy by making positive, forward-looking changes to its model line, across the board. If major changes in the powerplant, wing, gear, tail and interior weren't enough, New Piper also opted to offer a panel that can only be described as state-of-the-art. 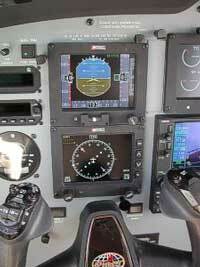 For basic navigation and communication chores, my test airplane carried a pair of Garmin GNS 530 all-in-one units. There's little new for me to tell you about these modern marvels of electronics and microprocessors that you haven't already heard or read. Perhaps the only comment you haven't heard before is that the two big-screen avionics boxes looked uncharacteristically small in the Meridian's vast expanse of panel space. Otherwise, they both worked and played well with the new S-TEC System 550 flight-control system installed in the airplane. But New Piper didn't stop there. Complementing the advanced technology of the Garmin and S-TEC equipment was a full six-screen complement of electronic flat-panel displays from Meggitt Avionics, the first factory-installed application of the company's new MAGIC hardware. Meggitt's groundbreaking equipment handles the functions of more than a dozen mechanical instruments you'd normally find in a high-performance bird like this. Two Primary Flight Display (PFD) screens in panel basically replicate the three main gyros -- attitude, direction and turn -- plus altimeter, airspeed, and vertical speed instruments. The second PFD display on each side mimics the navigation instruments: an HSI, plus an OBS and CDI, taking information from the usual suspects -- GPS, VOR, ADF, etc. -- and combining the information on one large display. The other two displays are called EDUs -- Engine Display Units -- and basically replace the engine instruments you'd normally find in a propjet-powered airplane, including all the salient temperatures, tach and torque. Yeah, torque. Since the engine turns at a constant speed of about 2,000 rpm, torque is the parameter used to set power. Automatic fuel control and prop control work with the engine governor to change prop pitch and fuel flow as engine load changes. If combined representations of all these items on screens instead of the usual mix of "steam" gauges and dials sounds intimidating, relax. Meggitt and New Piper, with a lot of "encouragement" from the FAA, basically retained the individual look of the gyros and navigation indicators, while opting for easy-to-understand vertical tapes for the air data. It only sounds intimidating until you start to use it. And once you start using it, the markings and displays begin to take on a familiarity that belies their unusual presentation. The engine displays were equally easy-to-read since their data are presented as both analog and digital displays. And the displays work some neat magic for you by, for example, changing from green to yellow to red as a parameter moves from normal to borderline to excessive. My first sampling of that useful function came during my takeoff roll, when I advanced the power lever too far and the engine briefly spooled beyond its torque limit. The EDU display showed me my error instantly. In essence, Meggitt's MAGIC makes the Meridian an all-electric airplane -- at least, in the panel. So New Piper gave the Meridian more than a bit of electrical-system redundancy. First, the engine drives two completely independent generating sources, a 240-amp starter/generator and a 120-amp secondary alternator. The redundant electrical sources also work through their own independent busses and batteries, with the latter mounted on neat sliding mounts accessible from outside the cowling. Standby instruments mounted top-center in the panel include an attitude indicator, altimeter and airspeed indicator. But the need for the back-up instruments seems a long shot, since Meggitt's MAGIC system includes two independent attitude/direction/air data sources to drive the primary flight displays, one in each wing. Each ADAHRS (for Air Data Attitude Heading Reference System), as Meggitt calls them, drives the PFD on its side of the airplane; the left one for the pilot, the right one for the co-pilot. The right ADAHRS can also drive the pilot's display, if needed. New Piper also provided the Meridian with the needed back-up oxygen system in the unlikely event of loss of cabin pressure, to put it in airline parlance. The pressurization system represents nothing new or advanced and has decades of use in other applications from King Airs to Mirages and failures are rare. If all this technology and change sounds intimidating, then you understand my original anxiety. But the reality was in stark contrast to my expectations. Despite the advanced nature of some of its technology, the Meridian proved fairly simple to operate. And that simplicity first showed up during a preflight inspection that involved little different than typical of other high-performance singles. For example, the primary goal of the walk-around is to check for damage, assure the integrity of control-surface linkages, check fluid levels, examine tires and struts for proper inflation, and inspect the prop and airframe for good general condition. What can I say? It's simple, straightforward and easy. The only item New Piper couldn't put within reach is the upper rudder hinge; virtually everything is in site, including the FAR 25-level dual actuators of the control surfaces and trim tabs. All in all, the exterior portion of preflight preparation takes relatively little time compared to the time involved between sitting down in the left seat and starting to taxi. Much of the checklist seems an exercise in litigation mitigation, designed with Torts 101 in mind: Anyone can be sued for anything by anybody at any time. Once you realize that, the intimidation factor of seeing a lengthy preflight paper trail diminishes to pretty much nothing. The manual runs you through little more than the logical checks, including shutting the door; it also covers items likely new to pilots, which is how litigators like their lists. For example, few of us piston pilots automatically check the pressurization controls during our pre-start preparations. It's worth mentioning at this point that part-and-parcel to the purchase of a new Meridian is a week of transition type training at SimCom's excellent facility near New Piper's factory at Vero Beach. It's not a new thing, but a continuation of a practice Piper established for its Malibu customers nearly two decades ago. Relatively simple though they may be to other business-class aircraft -- piston or propjet powered -- pressurized airplanes require systems and considerations we never face flying even the hottest non-pressurized planes. The POH also takes you through all of the other specific considerations for the Meridian -- checks of the dual electrical systems, batteries, fuel pumps, and more -- before it's time to throw the switches to start the PT6A. But when that time comes, it's fairly simple: Fuel system primed, autostart engaged, and watch the Meggitt engine-monitor screens. When the engine catches, you pull the fuel control into the run position and throw the avionics master -- and sit. You sit for three minutes to allow the two ADAHRS boxes to orient themselves. Meggitt cleverly built a timer into its system that counts down from 180 seconds, and the timer starts running automatically after the system runs though its own brief self-test cycle. Meridian pilots who previously spent time loading flight plans into their other planes' navigators before firing up the engine(s) may decide on a change of priorities when they move into this flight deck. With three minutes to sit before taxiing, any comfortable user of Garmin's GNS 530s has plenty of time to load a flight plan. Since my flight plan began and ended at VRB, my three minutes went toward becoming more familiar with switch and handle locations, the look of the Meggitt displays and my seating position. The fully adjustable seats made it relatively easy for me to find a sweet spot -- high enough to see the front of the cowl, low enough to stay out of the headliner, close enough to reach the starboard-mounted breaker panel, far enough back to ensure full-aft elevator authority. The countdown ended; the screens popped up in final format and the VRB ATCT released me to taxi to Runway 29L. With a small advance of the torque lever, the PT6A broke our inertia and the Meridian began rolling. Once we started moving, an equally small movement aft brought the torque lever back into Beta range, where the prop blades go flat and generate little to no thrust. Inertia kept us rolling, periodically aided by the smallest movements of the torque lever to keep the roll going. The nosewheel steering surprised me with its deftness and sensitivity, which were better than my memory for the Mirage. Guess my head expected harder steering or heavier rudder-pedal force with that high-horsepower mill hanging out front. Throttle sensitivity, on the other hand, was higher down in the low end of the range. At the hold-short line, few final checks remained; you don't do a piston engine-style run-up, with magneto and carb-heat checks or a prop-control cycle in propjet installations. With flaps at 20 degrees for takeoff, I turned the Meridian onto 29L, advanced the power lever toward the 1,180-pound mark -- briefly turning the torque display red -- and released the brakes. Barely faster than you can say "William T. Piper would a proud Meridian Papa be" a couple of times, the Meggitt airspeed readout confirmed what the airplane's own feedback told me: Time to fly, and we were barely past the 75-knot mark when the runway fell away. As is my usual practice, I had used the electric trim to set a bit more nose-up pressure to better encourage the Meridian's inherent ability to decide when to fly. With little more than the thought of back pressure on the yoke, the Meridian eased itself off the runway and accelerated -- through 90, through 110, through 130 -- and I worked to trim the nose to about 120 KIAS. As this happened, I stowed the flaps and then the gear, and started my 180 back to a 090-degree heading and the Atlantic Ocean. Cleaned up, the Meridian accelerated back to 140 knots. With the engine set at 980 pounds of torque and while maintaining 140 KIAS, we reached 17,500 MSL in 14 minutes, an average climb rate of 1,250 fpm. By my own calculations, the Meridian could have carried me to its 30,000 MSL certified service ceiling in about 26 minutes; the book shows 19 minutes to reach FL250. But the faster climb calls for 125 knots and the steeper pitch angle flying 15 knots slower cut into my view and, accordingly, my comfort level in being able to see more ahead than upward. The deck angle at 140 KIAS produced a good view over the nose to watch for traffic. My power setting didn't even work the PT6A hard: about 35 percent of its thermodynamic maximum. The Malibu Mirage could match this performance -- but the big turbocharged Lycoming would have worked at upwards of 90 percent power all the way up. That's the big propjet difference. Curiously, the need for rudder input to counter torque seemed less than my expectations, particularly against the lighter, 310-horsepower single I'd flown a day earlier. Nearing 17,500 feet MSL -- an altitude we chose so we could remain VFR -- my left hand trimmed the nose down as my right one eased down the power, eventually settling on a setting that yielded more than 190 KTAS at a fuel flow of 215 PPH. Up higher in Class A, mandatory IFR airspace, with power set for 240 PPH, the Meridian turns in just under 240 KTAS, according to the Meridian manual. And despite the book's quoted 262-knot maximum cruise speed, Meridian operators I've talked to report airspeeds in excess of 270 KTAS at fuel flows approaching 280 pph. According to Meridian pilots in and out of New Piper, the best balance between speed and fuel consumption comes at 250 PPH, which produces 250 KTAS above FL220. These settings should make easy work of 1,000-nm legs, leaving comfortable reserves. But if maximum speed appeals to you regardless of the fuel flows, you need worry none about where you cruise. Thanks to the flat rating of the Pratt & Whitney Canada powerplant, the Meridian remains capable of delivering 100-percent power all the way up to its certified service ceiling at FL300. That capability requires a bit of discipline, however, since you can exceed both engine-torque and airframe-redline limits below FL250. New Piper's engineers made fuel management easy with a stone-simple design: gravity feeds fuel from the two wing tanks to a header tank aft of the engine; from the header tank, an engine-driven fuel pump supplies the combustion chamber. Worried that maneuvering or system variations might cause a heavy-wing situation and overload the S-Tec 550? Relax. An automatic system senses an imbalance and pumps fuel from the heavy tank to the header until corrected; an annunciator shows when the system operates. It could hardly be simpler. Other than activating the boost pump for engine start, you never need touch a fuel-system control again until time to shut down. Another no-brainer is in selecting your cruise altitude -- at least, from a cabin-comfort perspective, since you won't suffer any discomfort regardless of how high you fly. At our 17,500 MSL altitude, the pressurization system gave us a comfy 7,000-foot cabin; at FL250, the cabin altitude still remains a hospitable 8,000 MSL. Clearly, New Piper wanted Meridian occupants to breath easily. Often, my attention during a pilot-report flight focuses most on the engine-airframe combination and the integration of otherwise familiar gear such as avionics, instruments and autopilots. Many times that equipment is so familiar and common that it bore little on my reflections about the airplane and little on its integration. But that's been the case less and less the last year or so. With so many all-new airplanes debuting equally new, cutting-edge gear, it makes the work so much more interesting. And the Meridian easily falls into this category. Aside from the two Garmin GNS 530s, everything in the Meridian was new to me and warranted sample time. And above all, the Meridian's hands-on flying traits, rather than the installed technology, make it an outstanding airplane. Integration is excellent; the flight-deck layout acknowledges the single-pilot environment likely to dominate Meridian operations. Controls, electrical-system switches and avionics enjoy a logical deployment across the expansive panel. Curiously, that expansive panel belies its sophistication and actually appears uncrowded and uncluttered, thanks to the integration of air data, navigation, altitude, attitude and heading information onto the two pairs of Meggitt displays and of engine data on the two mid-panel screens. To give a more-precise illustration, critical circuit breakers occupy a panel to the immediate left of the pilot, arranged top to bottom in order of importance. Breakers of lower importance are in another panel on the opposite side of the flight deck again arranged with logic to their functions. Reaching the right-side panel proved no problem for me, and at 5'-9", I'm not exactly what you'd call a tall pilot. Although the resolution of the MAGIC screens seemed lower than from my memory of trade-show displays, the screen displays worked well and read well for me in the bright sunlight that flooded the panel during maneuvering. Meggitt designed the system so that data from a malfunctioning screen can be shown on another display. But while selecting an alternative display mode sounds simple, think of it more as the digital equivalent to partial panel flying. You lose critical information that is only partially available on the 530s. Of course, the best news is that at least the hand-flying shouldn't present any problems. Like I was saying before we ventured away from the airframe/engine sampling, the Meridian flies well enough to make me look good and it felt good enough to make me feel like I was flying well. These are largely tactile reactions, to be candid. For example, although I didn't time the 45-to-45 rolls or measure the control pressures, the Meridian responded promptly on my inputs, and exhibited a resistance to rolling in line with what I've come to expect from an airplane that weighs close to 5,000 pounds going like a bat out of hell. No, it's not sprightly, but it doesn't make you wait for a response, either. I don't imagine the control pressures increasing flying faster in the thinner air of higher altitudes, and took what I felt to be the worst it would be. And it wasn't bad, that 45-to-45 time; maybe six or seven seconds, at the worst. This clearly isn't an aerobatic airplane, but it's not a truck, either. Stalls are straightforward and easy to deal with, in part thanks to the onset of pre-stall buffet a bit more than 10 knots ahead of the actual break. And while holding the yoke full aft long after the onset of stall, that longish nose did little more than bob up and down as the descent vacillated smoothly between about 750 and 1,200 FPM. Unfortunately, the autopilot got short shrift during my flight since others waited to fly the same bird. The S-TEC gear handled the plane well in heading and nav modes and it held altitude well. It seemed to allow an odd roll to start reacting to power changes, but corrected them quickly. And the flight director seemed to work well. I don't want shortchange the effort of S-TEC in designing the System 550. Overall, this sophisticated piece of digital flight-control equipment is designed to pretty much fly the airplane from departure threshold to arrival threshold, minus, of course, the ability to change power, control the gear and flaps, or respond to post-flight-plan-input from ATC. But hand flying is my main interest, and in the wholly analog world of hand flying an airplane, the Meridian stands out for its balance, its control harmony and response. Getting stability and maneuverability to play well together in the analog realm where airframe meets airflow demands balance and harmony -- it's a far-more complicated chore than we usually recognize. Similarly, if handling at the high and low ends of the envelope gratified me, it paled compared to the confidence-building of my arrival and landing back at VRB. After completing my standard retinue of in-flight exercises, VRB TRACON directed me toward a coastal landmark southeast of the field and down to 4,000 MSL before the checkpoint. While turning to a southwest heading, I implemented my usual technique for descent control -- simply easing back on power until the VSI display showed 1,500 FPM down in this case -- and sat back and relaxed. As the Meridian stabilized at its trim airspeed, the plane tracked nicely to the Florida coast, easily visible through the scattered layer the VRB ATIS advertised. At the shoreline, I trimmed the nose up and pulled the torque down in a coordinated dance to slow the Meridian below its 168-KIAS gear speed; with the wheels dropping, Approach asked me to continue down to 3,000 MSL. The wheels and a bit less power gave me 2,000 FPM in descent just long enough to need more power and nose-up pitch to level off at 120 KIAS -- just a couple of knots above flap speed. Easing off power even further brought the Meridian below 120, allowing me to deploy the first notch of flaps, stabilize at 110 knots and establish a 500 fpm descent for the pattern. I returned the rudder trim to neutral on the base leg and the tower controller cleared me to land as number two before my turn to final. Rolling out on final brought into view the number one plane for landing, a Flight Safety Seminole on short final. For the next minute that pilot strayed toward the north edge of the runway, then wandered beyond the runway edge and finally headed back toward the centerline, climbed, weaved and wandered. Holding my descent at 800 MSL, it seemed to me that a go-around was imminent. My right hand reached for the gear lever just as the Seminole touched down on the right half of the runway, darted left for the first available taxiway and turned off. Watching this soul struggle should have clued me in to the crosswind down there, as should have the big orange windsock, which was perpendicular to 29L and wagging mockingly at me. But my mind was more on my own options and the airplane in my hands than on the meteorology ahead. Now a bit too-high, too-close and slightly fast, I committed to landing with a quick power reduction and forward slip, left-wing low. The Meridian complied quickly and confidently, allowing me to correct what appeared incorrect and salvage the approach. The powerful rudder and ailerons let me align the Meridian straight and square before descending to 75 feet above the threshold; with about 75 knots showing, I held the trim switch full aft and with a final power reduction to idle the Meridian settled -- solidly -- left wheel, right wheel, nose wheel. A flick of the switch started the flaps back to neutral and reverse thrust slowed me enough to see into the throat of that shaking, shuddering windsock. We had about 20 knots of wind, 80 degrees off the runway centerline. Despite a demonstrated cross-wind component of only 17 knots, the Meridian never felt as though conditions exceeded its control authority. While taxiing in to the New Piper ramp, it struck me that concentrating on the airplane ahead of me kept me from noticing the crosswind. The control authority was up to the job and the harmony more or less masked how much cross-control input was needed. And that ignorance probably saved me from the nerves I'd have felt had I known what I was about to attempt, which in turn saved me the embarrassment of the botched landing I'd have made knowing it. Price aside, the Meridian may be as good as they come. Shortly after this little missive appears, I fully expect to hear some "yeah-but" comments that insist my story ignores future airplanes -- and maybe some used ones -- in its conclusion that the New Piper Meridian falls within the top tier of all-around great airplanes. Sorry, folks, it's not my practice to compare reality to theory, so you won't see that here. When future fliers move from theoretical promises to actual hardware with type certificates and deliveries -- in other words, realities -- the basis for such comparisons will exist. 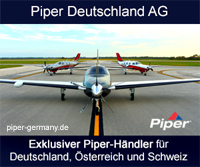 In the meantime, there's no escaping the fact that New Piper delivered on its promise. The Meridian is one hell of a fine airplane, period. Perfect, perhaps? Well, so nearly so, but not quite so. First, the cons -- con, really, since from my perspective the Meridian exhibits only one major target of criticism: full-fuel payload. Depending on options, figure somewhere in the neighborhood of 400-plus pounds of available payload when you top the tanks with 1,120 pounds of Jet A. Add options like the Meggitt panel -- so far, every operator has -- a BFGoodrich WX-500 Stormscope, radio altimeter and other business-turbine-class items, and the payload can dip down well below 400 pounds. Think of you and a friend wearing flip-flops, shorts and T-shirts to keep you from flying naked, a couple of small bags, and enough kerosene to fly 1,000 nautical miles. Of course, payload limitations this extreme are hardly new to general aviation. Light jets with full-fuel payloads of barely 500 pounds are not rare; high-performance piston singles with similar load limitations are also around. Which means Meridian pilots in need of greater cabin capacity need only plan for two-hour legs. That works for most of us when we need it, regardless of what we fly. Otherwise, what's not to like about the Meridian? Fine handling, great control harmony, plenty of control authority, impressive climb and blistering speed in an attractive, roomy package, complemented by the latest in high-technology equipment. Driving it all is a veteran general-aviation powerplant renowned for its reliability, durability, easy operation and economy. Combine that engine with airframe refinements to balance the package, and enough automation and solid systems engineering to make the pilot's workload lighter than most complex piston singles, and you have what appears to be a major hit for New Piper -- at a competitive price for its class. Current Meridians, typically equipped, go for about $1.7 million. Options account for some of the bucks. For example, the MAGIC system requires about $97,000 -- less than 8 percent of the base price. Other options include a radar altimeter, a second Garmin GNX 327 transponder, and S-TEC's ADF and DME, the latter two of which many pilots will live without given the standard dual GNS 530 installation. New Piper also offers an optional entertainment center that replaces the aft-facing seat immediately behind the pilot. This piece of cabinetry includes storage space, a beverage cooler, stereo AM/FM radio and CD player and can be fitted with a videocassette player driving a flat-panel color display. Don't be surprised if a DVD option comes long. With the completion of known-icing tests and FAA certification, the Meridian offers a go-anywhere-really fast potential to the pilot in need -- or want -- of five-mile-a-minute, comfortably pressurized transportation. Of course, another option exists: JetPROP LLC's JetPROP DLX PT6A conversion of any airworthy Malibu or Mirage airframe. Figure upwards of $700,000 for the conversion, plus the price of the airframe. Interestingly, after flying both it struck me how similar the performance, range, fuel consumption -- and restricted payload -- of the two really are. With one approach, you get a brand-new airplane with a state-of-the-art panel and numerous airframe changes to compliment the engine. With the other, you get a highly capable airplane at a lower price with the stock panel and system upgrades to make the engine/airframe combination work sensibly. Since neither option is in my budget, it's easy to imagine myself making the grand choice to buy new. But in reality, if I had the resources for one option, I'd have 'em for the other. And in that unlikely event, I'd only be intimidated by the act of signing the check for the Meridian, because everything else about it makes it an excellent pilot's airplane. The Meridian's handling seemed better harmonized than the JetPROP, a possible result of the subtle alterations New Piper made to evolve the Mirage. If you can't stand waiting on a list with about 140 people ahead of you, the JetPROP conversion should suffice. But for an aircraft designed with the airframe tailored to the powerplant, for one with cutting-edge panel systems and a higher service ceiling, the Meridian offers the only option.